PGFortran OpenMP * and auto-parallelizing Fortran 2003 compiler. 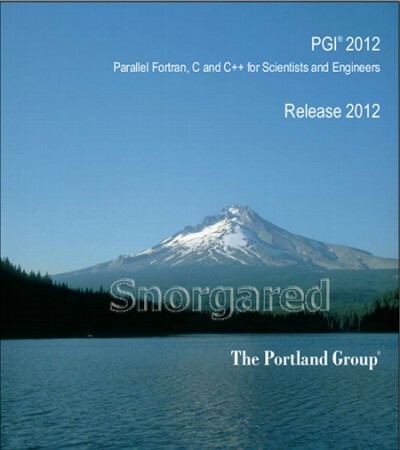 PGCC OpenMP and auto-parallelizing ANSI C99 and K R C compiler. PGC + + OpenMP and auto-parallelizing ANSI C + + compiler. PGPROF graphical MPI/OpenMP/multi-thread performance profiler (logging routine that allows you to estimate the performance of certain functions). PGDBG graphical MPI/OpenMP/ multi-thread symbolic debugger. MPICH MPI libraries, version 1.2.7, for 32-bit and 64-bit environments. PGI ACML 5.2.0 c FMA4 support and without. 64-bit development requires a 64-bit operating system. Hard Disk: minimum (depending on the options selected) 250 MB during installation, 150 MB for installed software. Accessories: Mouse or compatible pointing device to use additional graphical user interfaces. Others: pdf Reader to view the documents.